The long list of places in the world where the current government of the US has not been upholding the causes of political freedom, democracy and national sovereignty. Trump has striven to weaken the position of German Chancellor Angela Merkel through his constant denunciations of her judgment and domestic policies. Trump leads a thinly concealed campaign to overthrow the current government. in Iran. Trump aggressively promoted Boris Johnson as a brilliant leader, despite the latter’s direct challenge to Prime Minister Theresa May. Trump lashed out at Nicola Sturgeon, the leader of the Scottish National Party, with a barrage of highly personal insults. Trump has striven to weaken the position of Chancellor Angela Merkel through his constant denunciations of her judgment and domestic policies. the Trump administration has lent its full support to the ultra-nationalist, anti-democratic government. it has done the same in support of Prime Minister Viktor Orban. Trump warmly embraced Crown Prince Mohammed bin-Salman despite his shake-down of other Saudi leaders and dangerous crack-down on the Shi’ite community. Washington has encouraged current Prime Minister Lenin Moreno to pursue a vendetta against former President Rafael Correa because of the latter’s social democratic policies and unwillingness to kow-tow to U.S. business interests. the United States is backing the campaign to overthrow the democratically elected government of Daniel Ortega. the United States strong-armed the OAS not to penalize the government of President Juan Orlando Hernandez for its blatant rigging of the election last year. Trump leads a thinly concealed campaign to overthrow the current government. the United States has chosen sides in a civil war that involves participation in a homicidal air campaign carried out by Saudi Arabia and other outside parties. Trump personally has bolstered President Rodrigo Duterte in his program to build a lawless autocracy. 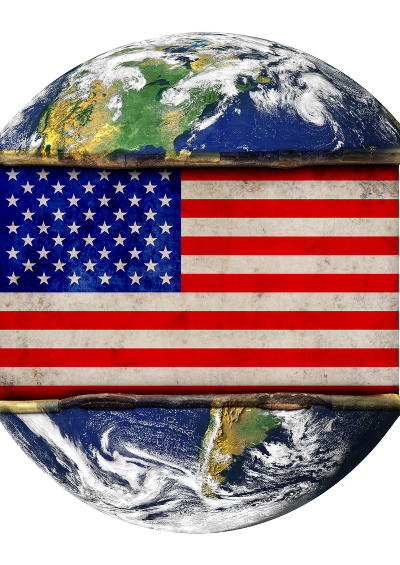 the United States is actively involved in the internal politics of a dozen or so countries.